After a few months of very occasional sewing, this week has been a welcome return to sewing normality. Like most quilters I have so many projects that I want to work on, but I have some that need to get made first, so it's been rather slow progress. After finishing my Boston flags earlier in the week, I managed to get a bit of focus on some of the Bee blocks I needed to get done for May. 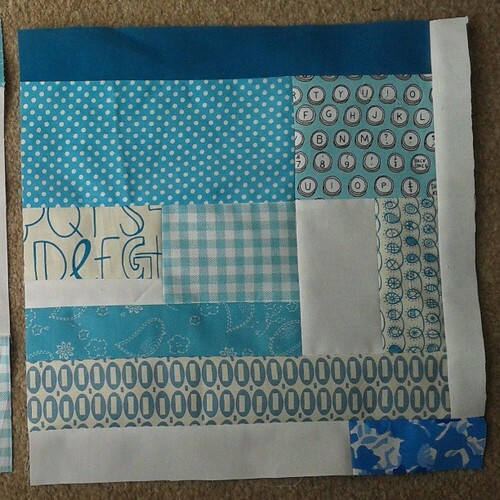 I started off making this block for Kerry for the Simply Solids Bee over on Flickr. I really love working with solids, there is something about the lack of pattern distracting me, and so the focus is all on the colour and design and getting them to work together- and that's actually quite a liberating way (for me) to sew. It is one of those blocks that tests the patience if you are having a bad seam allowance kind of day (just ask poor Lucy!! ), but somehow my new "foot" rose to the challenge, and it came together surprisingly well- however I do need to make an additional block for myself, bet that's not so straightforward!! 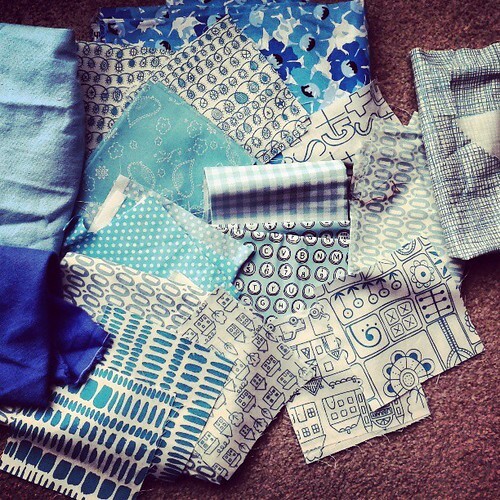 And so Wednesday, I pulled a few fabrics for my Stitch Tease block for the lovely Di, she had been quite specific about her colour choices, teal, aqua and turquoise, and no colours other than those plus white, but she was incredibly kind to us, and gave us a simple block. Clearly they need a good iron, but that aside, actually they came out ok, and not wonky (despite appearances). These will be winging there way to the US once I've made a signature block to go with them. For my next post, I'll be telling you about the return of my Chevron quilt, and sharing the feedback, which had some very valid points, although one point did make me laugh out loud- not all bad then! 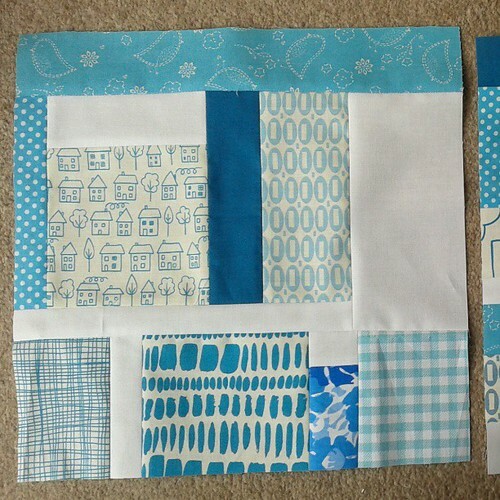 Lovely blocks Ange - but sets of blocks are going to make beautiful quilts. great looking blocks. I love the blues on Di's ones. Welcome back! Loving the blocks. Thank you...I love those little bits of gingham and pezzy print! Three lovely blocks. I really like all the blues combined. 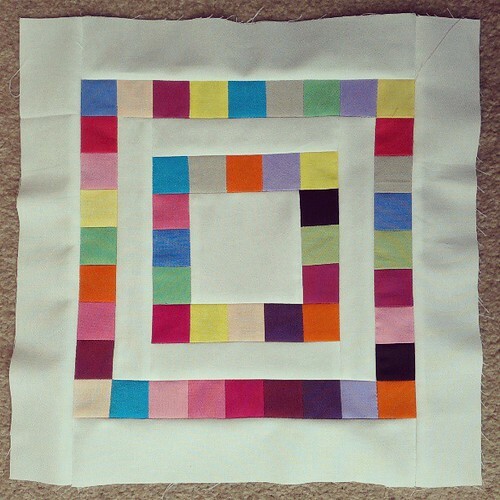 All of these are really pretty blocks - love em all! !